Chief Michael Kinkade has recommended that the levy be renewed at the current level, first approved in 2015. The five-year fire levy that Cornelius voters approved in 2015 doesn't officially expire until next year. But Cornelius city officials are considering pushing a levy renewal up to the ballot as soon as this May, in the interest of avoiding direct competition with other money measures. The regional government Metro is already planning to ask voters to approve a transportation bond measure in November 2020. The Forest Grove School District, which covers most of Cornelius, could also potentially go out for a bond measure at some point over the next couple of years. Fire Chief Michael Kinkade presented a recommendation to the Cornelius City Council that the city place the levy renewal question before voters this May at a Monday, Jan. 7, work session. The current levy imposes a property tax of 47 cents per $1,000 of assessed value on homes within Cornelius city limits, which are served by the Cornelius Fire Department. Voters approved it in 2015, with 70.5 percent in favor. Kinkade said he took that at the time, and still considers it, as an expression of confidence by voters. "This community is typically somewhat tax-averse," Kinkade said. "I think the fact that this levy (passed) with 70.5 percent shows that it has strong community support." 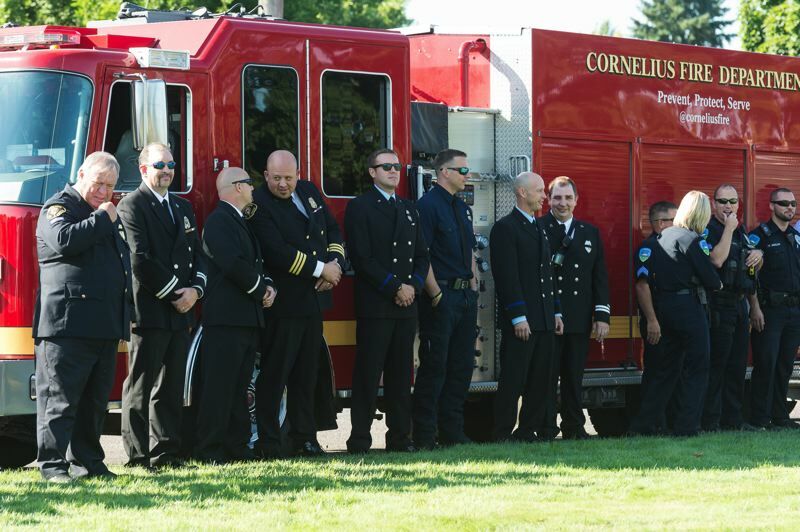 Before the levy passed, Kinkade noted, the Cornelius Fire Department was only able to field one professional firefighter on duty at any given time, supported by student volunteers. Facing the expiry of federal grant funding for the student volunteer program, the city went to voters with the levy option in 2015, securing funding for two more career firefighters and shoring up the volunteer program. "If we hadn't had this levy … we would have been hard-pressed to provide fire service, if it hadn't passed in 2015," said City Manager Rob Drake, adding, "It was as transparent and bare-bones as we could get." Even with the levy in place, Drake and Kinkade noted, Cornelius depends on a practice known as "mutual aid," in which nearby fire agencies respond on request to emergency calls within another agency's jurisdiction. Kinkade is the fire chief for not only Cornelius, but also Forest Grove and the nearby Gaston Rural Fire District, which extends into northwestern Yamhill County. Other agencies in the area that regularly respond to incidents include the Banks Fire District to the northwest, the Hillsboro Fire Department to the east, and Tualatin Valley Fire & Rescue, whose sprawling district covers eastern Washington County, most of eastern Yamhill County, and parts of Multnomah and Clackamas counties. "Neither Forest Grove or Cornelius or Gaston can put out a fire — a simple kitchen fire — with one engine company," Kinkade said. "Cornelius or Forest Grove, they do not have an effective fire department by themselves. Your second-in engine of the three engines that are going to show up on any residential fire tonight is going to be Forest Grove. Your third-in engine is either going to be Gaston or Hillsboro." He added, "We live by our partnerships. If it wasn't for that, we could not provide any effective service." Kinkade is recommending that the city seek a renewal of the existing levy. Cornelius could try to persuade voters to approve a higher tax rate, but he told council members he is not proposing that. "I don't think that's politically doable, so I'm not recommending that to you," Kinkade said. Even if the renewal vote is held this year and voters approve it, it wouldn't go into effect until after the existing levy expires, Kinkade and other city officials clarified at Monday's work session. Dalin and Drake are involved in ongoing talks with Forest Grove and the Gaston Rural Fire District about merging the fire agencies into a single district. Kinkade has been advocating some form of unification of the Cornelius, Forest Grove and Gaston fire service providers for a few years, and a task force began meeting in the fall to discuss the idea. However, Kinkade said levy renewal is a separate issue from the potential merger.